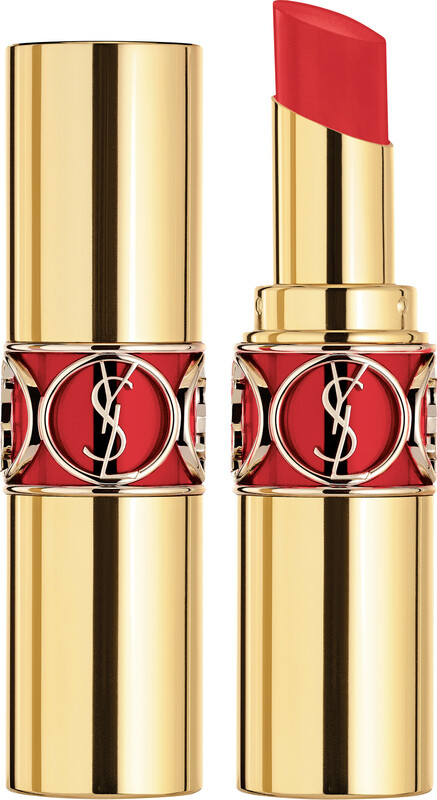 Meet the pinnacle of YSL Beauté, Yves Saint Laurent Rouge Volupte Shine Oil-in-Stick Lip Colour, a high-shine lipstick that infuses your lips in deep moisture and high colour. A cult favourite, the Rouge Volupte Shine Oil-in-Stick Lip Colour is one of the most famous items in the coveted YSL lipstick collection. Loved for its ornate design and stunning colour payoff, this oil-infused lipstick combines the benefits of a balm with the high shine colour of a lipstick; it’s a complete must-have for any lip lover. It dresses your lips in medium coverage with an almost vinyl finish. 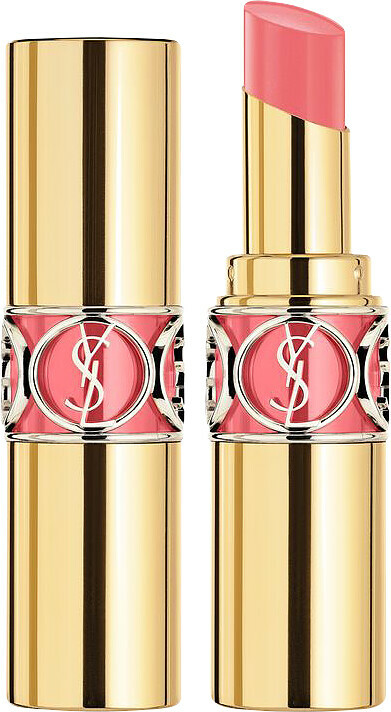 Made from 60% oils, its soft, balmy texture glides over lips, quenching any parched areas whilst kissing your lips with melting colour for all-day comfort. After 4 weeks of using the Rouge Volupte Shine Oil-in-Stick Lip Colour, your lips feel revived and their overall texture is improved. Fellow beauty lovers, we all know that the Rouge Volupte Shine lipstick is possibly one of the most desired lipsticks available. As covetable as a trinket, this beauty talisman as good as it performs. We love its pigment, its sweet smell of mango and its glamorous colour range of complementing hues. Apply the curved bullet to the centre of your lips, then glide outwards to the outer corners. Reverse the motion to achieve a higher colour pay off.